Dumfries’ Jo Muir finished 10th at World Cup 4 in Drzonkow, Poland today, her best ever finish at a World Cup event. 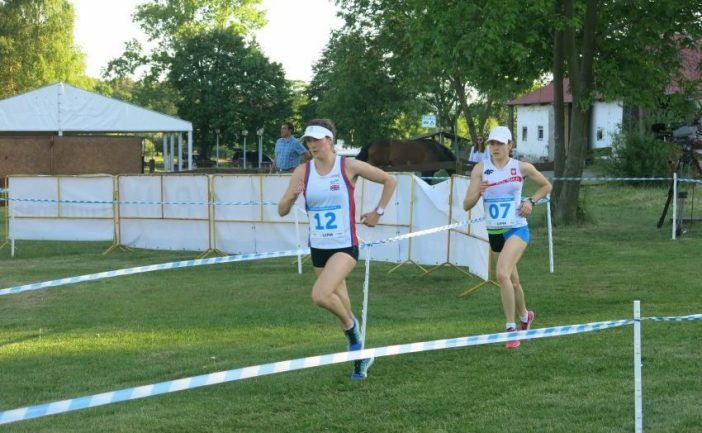 Clitheroe’s Samantha Murray and Dorking’s Francesca Summers finished 18th and 28th respectively on a day that had huge positives for Pentathlon GB despite the final result with 21-year-old Summers leading after the opening two disciplines and London 2012 silver medallist Murray lying in 5th after 3 disciplines. Muir was naturally delighted with her performance in Poland, commenting “I’m really happy to finish inside the top 10 and there’s lots of positives I can take from the last 2 days. The Women’s final began yesterday with the fencing ranking round where former North Kent Modern Pentathlon Club athlete Summers surged into an early lead. Some excellent hits throughout saw the youngster secure 28 victories and just 7 defeats, 4 more victories than any other athlete in the field. 27-year-old Murray produced a positive fence of 18 victories, 17 defeats with 22-year-old Muir one hit further back, her best fencing performance at a World Cup this season. After a rest overnight, Day 2 of the final began with the 200m swim where all three British athletes improved on their semi-final times. Murray, known as one of the best swimmers on the modern pentathlon circuit, clocked a 2:12:04, the 5th quickest of the day with Muir and Summers both swimming season best times of 2:16.61 and 2:20.96 respectively. Neither Muir or Murray managed to add to their score in the fencing bonus round, but after topping the ranking round standings, Summers beat Francesca Tognetti in her sole bout to collect two further points. It meant Summers, who is currently studying in Paris, headed the field going into the ride with Murray 9th and Muir 18th. With athletes beginning their ride in reverse order, University of Bath graduate Muir was the first Brit into the show-jumping arena and a good performance on her allocated horse Czardodziejka meant she knocked down just a single pole with two time faults to collect 291 faults. Fellow Bath graduate Murray also felled just a single pole and secured 293 points moving both Brits up the overall standings. It was in the ride where Summers lost ground as an unfortunate fall at the double meant she suffered time and obstacle faults. However, the youngster showed plenty of heart to remount and complete the course with 219 points. The third discipline shook up the order dramatically and as a result Murray moved up to 5th with Muir 12th and Summers 20th ahead of the laser-run. It was Scot Muir who led the British charge in the final discipline and after a slow first shoot, she started to pick up positions on each lap to cross the line a career-best 10th. With some exceptionally quick times from those further down the field, Murray crossed the line 18th and Summers 28th to round-off the regular World Cup season for Pentathlon GB athletes. Italy’s Alice Sottero claimed gold with London 2012 Champion Laura Asadauskaite and Turkey’s Ilke Ozyuksel completing the podium in Drzonkow.